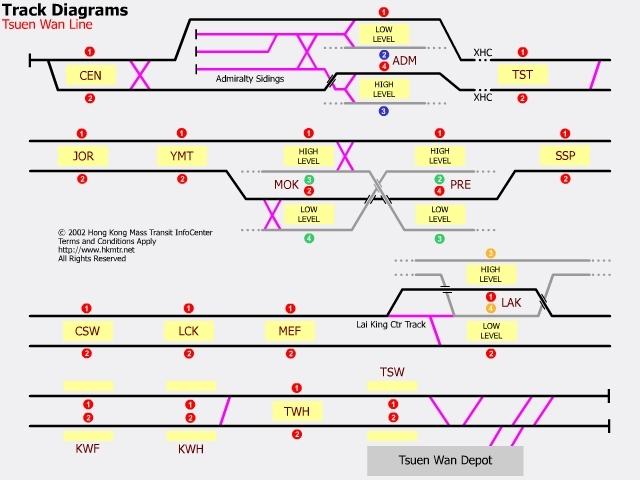 The final part of “urban” MTR lines is the Tsuen Wan Line: it starts at Central with an interchange with the Island Line then continues north through Kowloon, with interchanges provided with the Kwun Tong, Tung Chung and West Rail lines, before reaching the final terminus at Tsuen Wan. The full set of photos is here, along with a track diagram of the line. 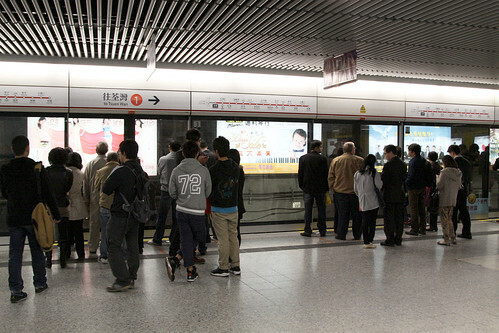 A single turnback siding exists beyond the platforms, but in off peak times trains just terminate in the platform, with the driver walking down to the other end of the train. 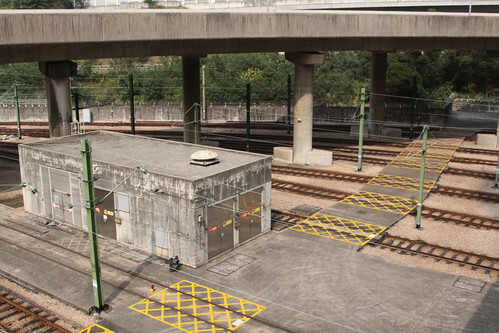 Between Central and Admiralty the track diagram shows a number of sidings located between the tracks: I am not sure how these would be used in normal operations. 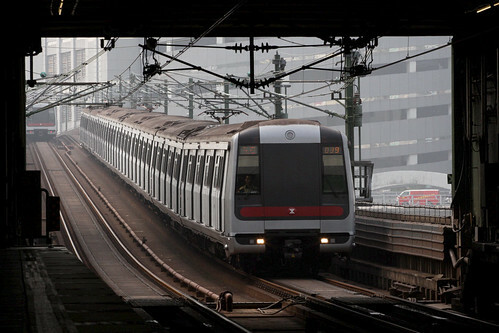 Admiralty is the final station of the Tsuen Wan Line on Hong Kong Island – after here the line crosses Victoria Harbour by an immersed tube tunnel. 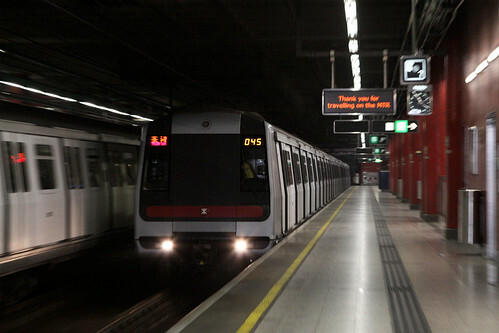 Once on the Kowloon side the line is now in a cut and cover tunnel located underneath major roads. 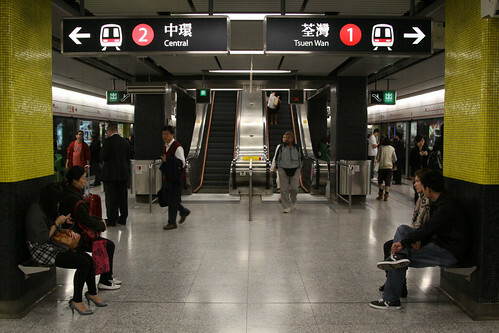 Tsim Sha Tsui is the first station in this section, and a typical example of the stations along this stretch of line. 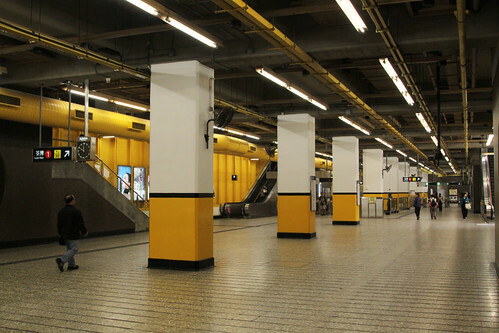 Each one has an island platform with a twin row of pillars down the middle, holding up the upper level concourse, then the roadway on top. Jordan station is next, the same design but different coloured mosiac tiles. 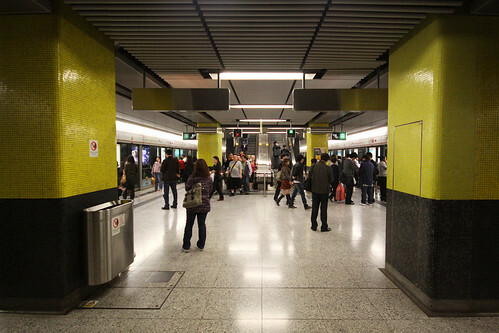 Yau Ma Tei station is then followed by the cross platform interchange setup at Mong Kok and Prince Edward: that was described in the previous post. 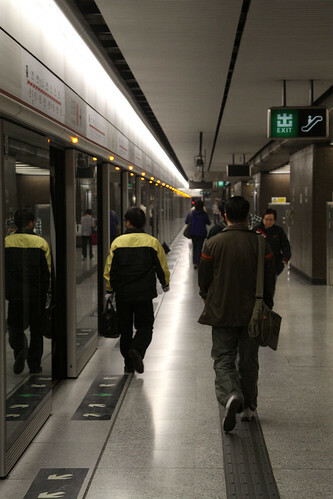 Beyond here the line is still cut and cover tunnels with island platforms: at Mei Foo station interchange with the West Rail Line is made via a long passageway from the concourse. Meanwhile southbound trains use two separate platforms partially buried at ground level. 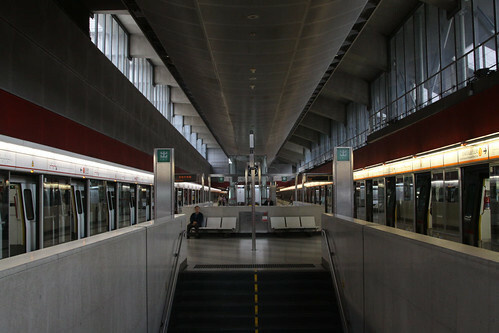 The station was originally built with the single ground level island platform: with the construction of the Tung Chung Line the northbound track was moved onto a newly built elevated platform to allow for the cross platform interchange. 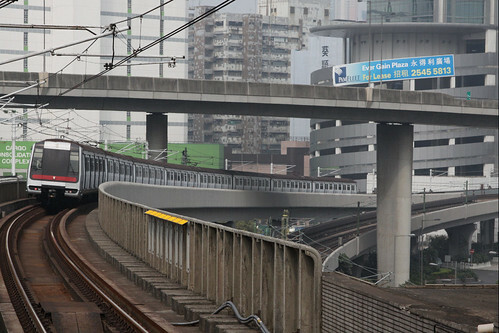 Here the northbound train on viaduct can be seen on top of the southbound track on the lower viaduct, which is alongside the abandoned low level northbound track. 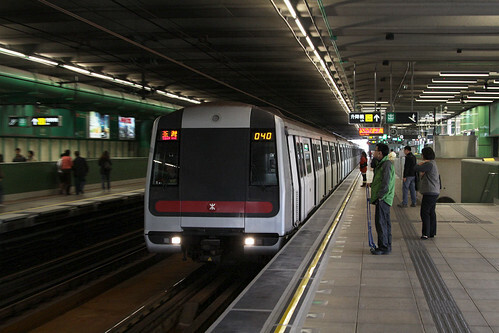 Southbound Tung Chung Line trains use a new platform built alongside the southbound Tsuen Wan Line platforms, but located outside the original station “box”. 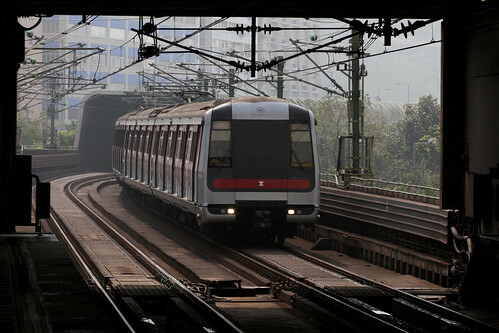 The Tsuen Wan Line viaduct continues north to the next station, Kwai Fong. 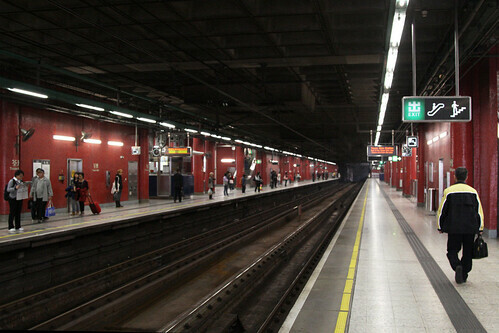 This station has a pair of side platforms, the railway located on a viaduct with a concourse located below. Platform screen doors were never retrofitted like other stations, but it appears automatic platform gates will be soon installed. 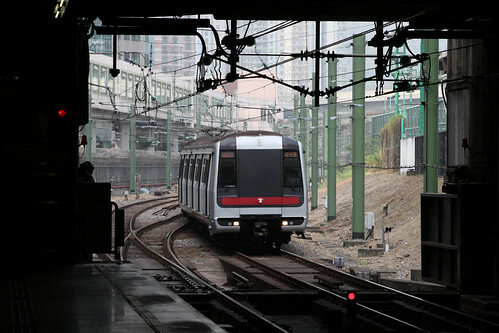 The viaduct continues towards the next station of Kwai Hing: however a sound-deadening tube encloses the line to prevent disturbing residents in the adjacent apartment buildings. 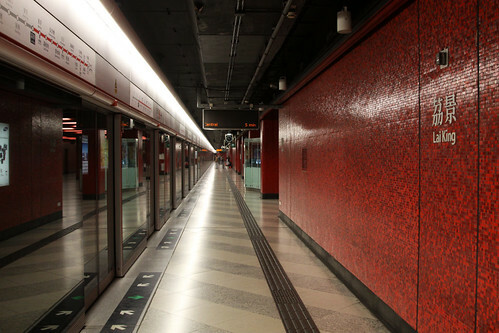 Kwai Hing has the same design as the previous station of Kwai Fong: the only difference is the colour scheme. 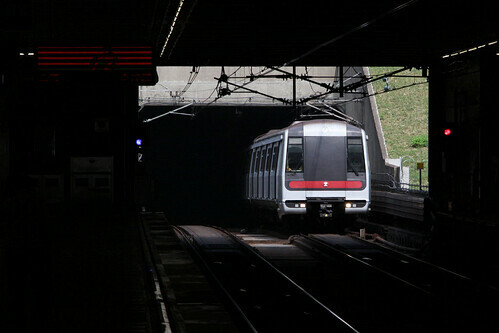 From Kwai Hing the line then enters a short section of tunnel. 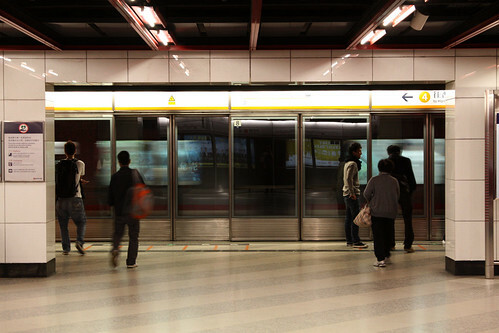 In this section is the station of Tai Wo Hau: it is of the standard underground island platform layout. 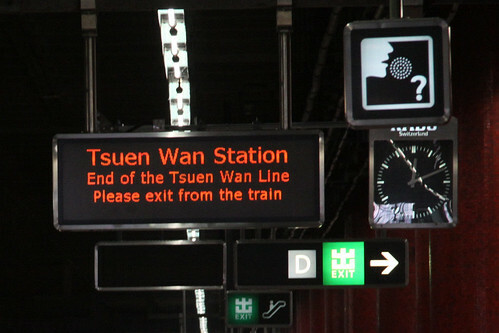 The terminus of Tsuen Wan follows. The station is located at ground level with the concourse above, and a housing development located atop that. 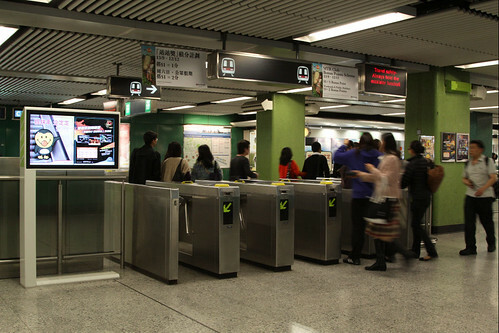 At Tsuen Wan each northbound train will empty their passengers onto the same arrival platform. The train driver leaves the cab then walks to the approach end of the platform, then boards the rear cab of the next train to arrive. This enables the driver to shunt the train out to the siding beyond the station, then bring it into the opposite platform to form a southbound train – the cycle of drivers repeating for each arrival. 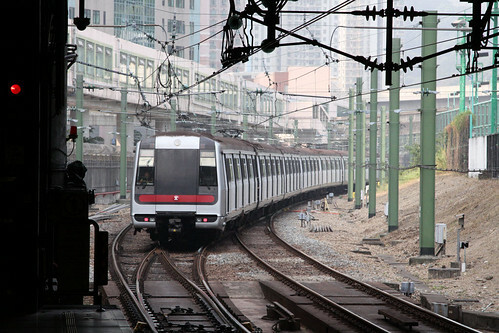 Other than a turnback, the tracks beyond the station also provide access to Tsuen Wan depot, which is located beside the passenger station. That marks the end of the Tsuen Wan Line: the tracks north were originally intended for a further station that was never built, but I didn’t walk up that far. The area to the north was later served by the opening of the West Rail line, but that is for another day. 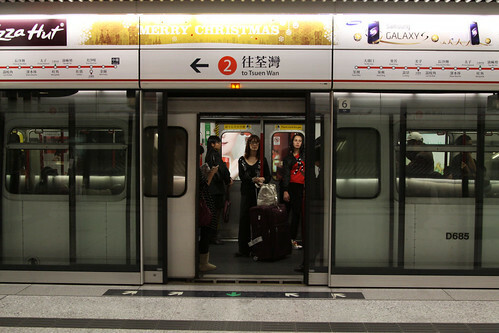 This entry was posted in MTR line guides, Transport and tagged Hong Kong, line guide, Mass Transit Railway, MTR. Bookmark the permalink.